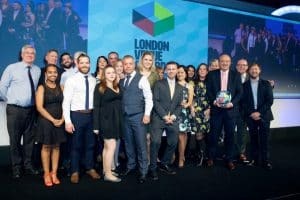 Central London’s leading large events venue, the QEII Centre, has been recognised for its outstanding customer service at the London Venue Awards 2017. The venue, which has capacity for up to 2,500 delegates, won the title of Best Venue Customer Service – Over 500 Attendees at the awards ceremony, held on Friday 20 October. Now in its third year, The London Venue Awards is a recognised benchmark for London venues which aspire to offer the best setting, facilities and service for their clients. The QEII Centre has previously been recognised for its customer service excellence at the 2017 Conference Awards, winning Best Conference Venue (over 750 theatre-style); at the M&IT Awards, winning Best Conference and Banqueting Team in 2016; at the EVCOM Live Awards, winning Best Venue Events Team in 2015; and at the 2015 London Venue Awards, winning Best Venue Customer Service.